Educator, administrator, and senior policy advisor, Linda Kaser is a champion of innovation in public education. 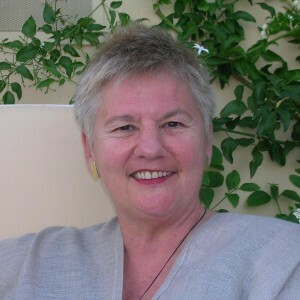 Kaser earned her Master of Education in Curriculum and Supervision from the University of British Columbia in 1975. From there, she held posts in the Vancouver, Richmond, and Mission school districts: as curriculum consultant, teacher, vice principal, and ultimately principal of elementary and secondary schools in Mission. In 1996, she completed a doctorate in educational leadership with a dissertation on caring school communities. Kaser advanced to become Mission’s director of K-12 instruction and provincial coordinator for early school success and district improvement. In 2003, she was appointed lead director of achievement, school, and district improvement for the BC Ministry of Education. This gave her a province-wide mandate to create effective, innovative learning environments. She became co-director of the Network of Performance-Based Schools in BC, the Aboriginal Enhancement Schools Network, and the Centre for Innovative Educational Leadership at Vancouver Island University. Expanding her leadership internationally, Kaser assumed a post with the Organization for Economic Cooperation and Development as a member of the International Team for Innovative Learning Environments. She served as board member and co-chair of the International Congress of School Effectiveness and Improvement, and travelled to develop leadership programs at schools abroad. The reach of Kaser’s contributions extend to published works. Her co-authored book Leadership Mindsets: Innovation and Learning in the Transformation of Schools is used extensively as a guide for educational leadership, while Spirals of Inquiry assists educators in strategies to shift their thinking and practice. First published in 2013, Spirals is in its eighth printing just two years later. In 2006, Kaser received a Distinguished Leadership Service Award from the BC School Superintendents’ Association for her outstanding contributions to public education.